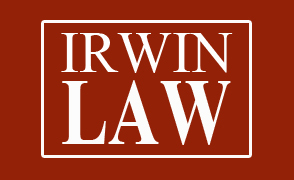 UBC Library has access to many Irwin Law titles online, including the “Essentials of Canadian Law” series. UBC Library now subscribes to the online version of the National Reporter System. The National Reporter System consists of reporters for every province (except Quebec) plus two reporters for the federal courts. The provincial reporters include comprehensive coverage of the courts of appeal & selected cases from the superior trial courts. The National Reporter includes all the cases from the Supreme Court of Canada and the Federal Court of Appeal plus judgments from the House of Lords and the Privy Council that are relevant to Canadian law. The Federal Trial Reports includes selected cases from the Federal Court of Canada, Trial Division. Monday, January 19, 2015 at 12:30 pm – 2:00 pm – Click here. Wednesday, January 21, 2015 at 12:30 pm – 2:00 pm – CANCELLED! Monday, January 26, 2015 at 12:30 pm – 2:00 pm – Click here. Wednesday, January 28, 2015 at 12:30 pm – 2:00 pm – Click here.